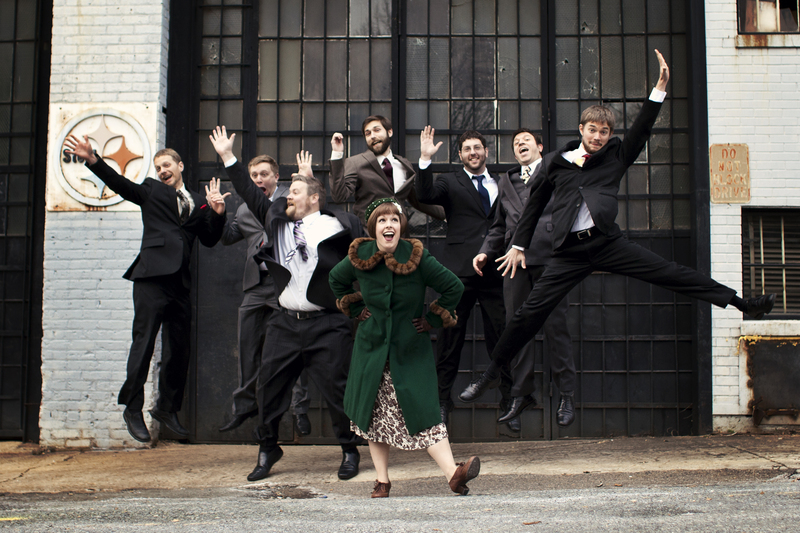 DCLX’tra: Chelsea Reed and the Fairweather Nine! Chelsea Reed and the Fairweather NINE will be joining us for some hot swinging tunes to delight dancers of all stripes on March 23 in Glen Echo’s historic Spanish Ballroom. Already comfortable with the basics? Come celebrate Women’s History Month with a special FREE presentation on the history of Women in American jazz music with Chelsea Reed. $20 regular admission, $15 with a valid school or military ID. In October 2012, vocalist Chelsea Reed brought a few of her friends together to play some tunes in a South Philly dining room. Her plan was to form a band that played for swing dancers, so she could finally have the chance to sing her favorite songs for an audience that loved early jazz as much as she did. Since that fateful day, she’s been living that dream and couldn’t be happier about it. Now, Chelsea Reed and the Fair Weather Nine are at home at swing dances, jazz clubs and concert halls alike. They have played renowned Philadelphia venues and travel the country year round to perform at both Lindy and Blues exchanges and workshops. They’ve had the honor of sharing the stage with trombonist Wycliffe Gordon, pianist Gordon Webster, and bassist Michael Gamble. They love exploring the roots of jazz and finding creative ways to interpret forgotten songs. Drawing upon the intensity of powerhouse vocalists, the ingenuity of 20th century composers, and the soul of the dance floor, Chelsea Reed and the Fair Weather Nine honor the heritage of jazz with fresh arrangements and original songs. They are silly, passionate people who love playing this music. Presented in cooperation with Glen Echo Park Partnership for Arts and Culture, the National Park Service, and Montgomery County, MD. Sure, New Year’s Eve is cool, but have you heard about January 26th Eve?? We can’t wait to bring you the hard-swinging sounds of The Mint Julep Jazz Band! The Mint Julep Jazz Band out of Durham, North Carolina recreates the hot jazz sounds of the swing era through arrangements based on original recordings. Led by trombonist Lucian Cobb and vocalist Laura Windley, the band has performed everywhere from the Lincoln Center to Sesame Street, as well as top Lindy Hop and Balboa events like the International Lindy Hop Championships, Lindy Focus, and All Balboa Weekend. Swing dancers everywhere recognize the Mint Julep Jazz Band as a sure thing to get their toes tapping and their rock steps rocking! Come early for the beginner lesson, or for an intermediate balboa lesson. The beginner lesson is included in your admission price, and intermediate balboa is just $5 extra, so come out early and learn some new moves! And remember, DCLX has Square! So cash, check, or plastic all work. Steeped in the tradition of the masters but forging ahead with a style all its own, “Shannon Gunn and the Bullettes” is an all-women jazz ensemble based out of the DC area. Laid back but hard swinging, the Bullettes bring all generations together to enjoy a dynamite performance. The Bullettes began as a dream of Shannon Gunn, trombone player and graduate of the George Mason University Masters in Jazz Studies program. Their first CD release, a five song EP, was the product of a successful Kickstarter campaign. Since then, the Bullettes have released three additional albums and continue to wow audiences and perform both swing, originals, and straight ahead jazz charts for audiences young and old. The Bullettes are a musical organization that uplifts women in jazz, creates networking opportunities, and provides a positive role model for aspiring jazz musicians in the DC area. Come early at 8pm for a beginner lesson with fabulous local instructors (included in your admission price). 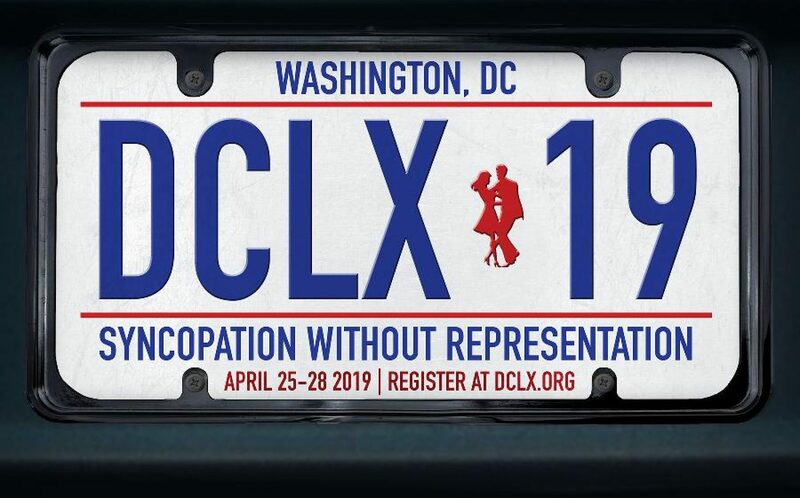 And remember, DCLX has Square! So cash, check, or plastic all work.